“Been there, done that, but still more than happy to make some noise”. 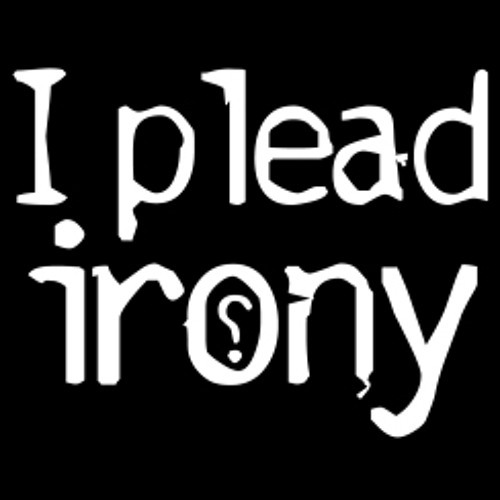 If I Plead Irony had a motto it would probably be along those lines. Based in Farnborough these “accomplished band whores” as a local rock hero Paul Townsend (Hundred Reasons) describes them certainly have a lot under their belts to be proud of. This three piece consisting of Rauf (Bass and Vocals) Lawrence (Drums) and Paul (Guitar) who made up 60% The Fins, 66.6% Ipanema and 75% of the French band Atomic Garden have already made a name for themselves with several records and European and British tours in the aforementioned bands. But why spend time talking about the past? The future is I Plead Irony and the “explosive guitar riffs[…]thundering bass and powerful drums” (Rose Coloured) certainly speak for themselves! Having released their debut album “This Statement Is False” mixed by renowned French producer Guillaume Doussaud in 2013 they are now working on the follow up to be released later this year. “This Statement Is False is exceptional, easily one of the most breath-taking and rousing releases found in a long time. Such its ravenous power and exhilarating imagination, it would be no surprise if under the term Rock ‘n’ roll there was a picture of I Plead Irony” – Ringmaster Review “reminiscent of Hundred Reasons at the height of their semi-alt punk glory” – AltSounds More angst ridden, raw edged rock with lashings of melody then you can shake your “sign of the horns” or even a stick at!